Gina Sicilia is happy to be coming home – if even for just one night. Sicilia, a highly-acclaimed blues vocalist who grew up in the Philadelphia area, is coming back to the area on September 26 for a show at the World Café Live (3025 Walnut Street, Philadelphia, 215-222-1400,www.worldcafelive.com). She will share the mid-week bill with Paul Thorn. “Coming back to Philly is always really special,” said Sicilia, during a phone interview Monday afternoon from her home in Nashville, Tennessee. “I miss Philly. I miss the energy of Philly. Sicilia is touring in support of her new album “Heard the Lie,” which was recently released via Blue Elan Records. “The album came out on August 31,” said Sicilia, who graduated from Council Rock High in Bucks County and followed with a degree in journalism from Temple University. “I recorded in Los Angeles in three weeks back in January. Dave Darling was my producer and we recorded it at The Dog House Studio in L.A. We started with pre-production and got it finished in two-and-a-half weeks. “I wanted to work with Dave because he’s a great producer – and a great musician. He has a way of taking material I wrote and turning it into something unique and soulful. This is Sicilia’s eighth solo album. Some of her earlier albums were recorded with Dave Gross at Fat Rabbit Studio in Glen Ridge, New Jersey. “Tug of War,” which was her most recent LP prior to “Heard the Lie,” was recorded at Morning Star Studio in East Norriton, a Philly suburb in Montgomery County. Sicilia’s ambition and determination has always set her apart. The decorated blues vocalist penned her first song at age 12 and, after the overwhelmingly positive response to her 2007 debut album, “Allow Me to Confess,” started touring all over the world. Today, Sicilia plays more than 150 shows a year. Ever since getting a Blues Music Award nomination for Best New Artist in 2008, Sicilia has enjoyed great chart and radio success. “Tug of War” reached Number 3 on the Contemporary Blues Album chart and was the Number 1 roots album in Tennessee. “Abandoned” reached Number 2 on the Contemporary Blues Song chart, “He Called Me Baby” reached Number 1 on the Soul Blues Radio chart, and “I Don’t Want to Be In Love” reached Number 3 on the Contemporary Blues Radio chart. 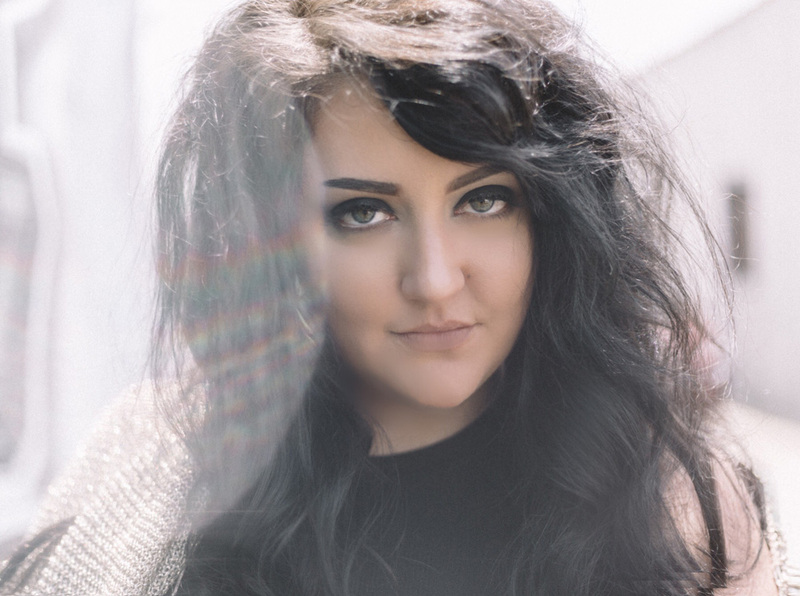 “I started writing songs for ‘Heard the Lie’ a few months before I recorded the album,” said Sicilia. “In December, I went on a writing binge and wrote 25 songs in a month. Having written more than two dozen songs, Sicilia had to pare them down prior to heading into the studio. “I recorded about 14 songs in L.A.,” said Sicilia. “Most were originals. I co-wrote one with Janiva Magness. Dave Darling wrote one song. And, I recorded one from my label-mate Janey Street. “When we were making the album, we definitely looked for the strongest songs. We wanted songs rooted in blues. And, we wanted songs with pop sensibilities – having good hooks you can sing along with. Sicilia used a full band to make the album but will present the songs in a more stripped-form in her show at the World Café Live. Video link for Gina Sicilia — https://youtu.be/M7I1K9Ipo1k. Thorn is the son of a preacher — and a former professional boxer. “My father was a preacher, so I grew up singing in church,” said Thorn, during a phone interview from his home in Tupelo, Mississippi. “Like Elvis, I went to black churches and white churches growing up. “The white churches sang church music like it was country music. The black churches sang church music like it was rhythm and blues. There were both black people and white people who attended my father’s church. That was when I learned to sing a mixture of those styles. “Don’t Let the Devil Ride’ collects soulful songs originally cut by black southern gospel groups and features guests the Blind Boys of Alabama, The McCrary Sisters, the Preservation Hall Jazz Horns, and Bonnie Bishop. The album was recorded at three temples of sound — the Sam C. Phillips Recording studio, whose namesake gave another son of Tupelo his start; FAME Studios in Muscle Shoals, where Thorn worked as a songwriter for legendary producer Rick Hall early in his career; and Preservation Hall, where horn players from the celebrated jazz venue lent songs a New Orleans vibe. The new release marks Thorn’s first shot at recording gospel music after a dozen albums in roots-rock mode. In his own songwriting, Thorn often addresses the foibles of human relationships. Prior to starting his career as a professional musician, Thorn was a boxer. He was a promising middleweight prospect who won the Mid-South Middleweight title in 1987 and retired with a 14-4 record in the late 1980s. In April 1988, he was ranked ninth by the NABF and fought boxing legend Roberto Duran, who had an 82-7 record at the time. In the scheduled 12-round fight at the Tropicana Hotel & Casino in Atlantic City, referee Randy Newman stopped the fight after six rounds at the request of Thorn’s corner because of his severely split lip. Even though 30 years have passed since Thorn’s fight against the champion boxer with the nickname “Manos de Piedra” (“Hands of Stone”), the Mississippi native still packs a punch. The only difference is that now he delivers it with a song rather than a jab or an uppercut. 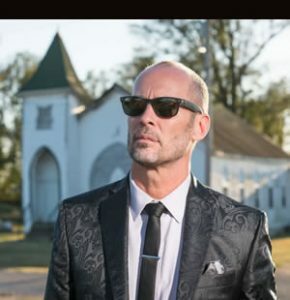 Video link for Paul Thorn — https://youtu.be/Aqk4lznvD48. The show at the World Café Live, which also features Paul Thorn, will start at 8 p.m. Tickets are $25 and $35.